It might have to do with the fact that I feel like I’m getting older, but I’ve been increasingly drawn to the simple and chic lately. I haven’t been wearing a lot of colour, and this fall in particular has been all about effortless pieces in neutral tones. This sweater is a prime example of my current style philosophy: it’s no-fuss and cozy, but the mock neck on it gives it just enough detail to be interesting. Fabulous vest! 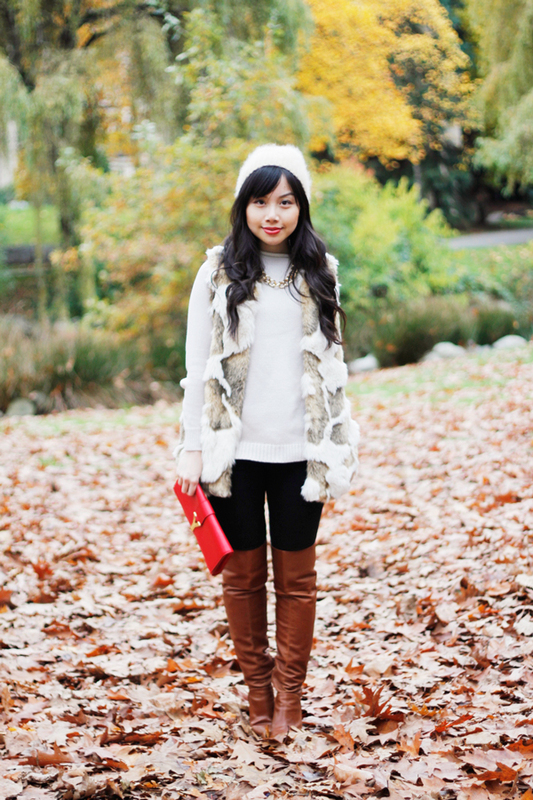 This is a perfect fall uniform, I’m so in love with those boots, they are fierce! Love this style. You looking fabulous. 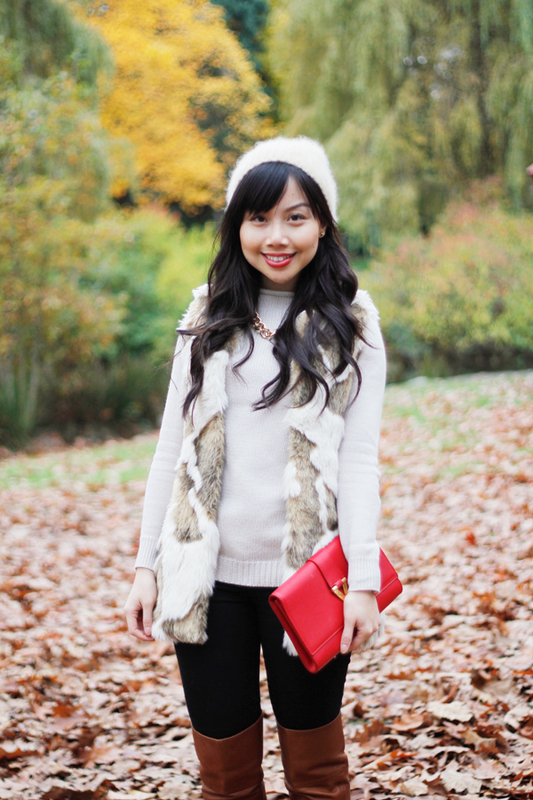 A lovely, tone-on-tone look…with the punch of a red clutch!! But I have to say, it’s that awesome vest that REALLY makes it special!! You look so cute & cozy! I love this whole outfit! 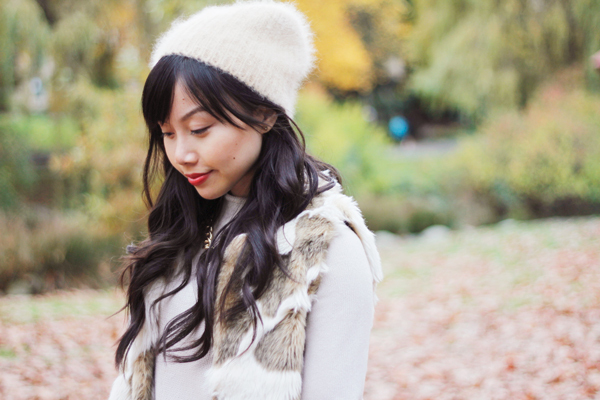 The sweater and the fur vest are perfect together. I hope things are well with you, love! xo. Holy moly that vest is gorgeous! Super cute outfit!! Love the clutch!! Love the fall weather but moreover move your outfit so simple but yet stylish..